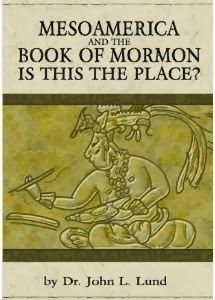 Review of: John L. Lund, Mesoamerica and the Book of Mormon: Is This the Place? (The Communications Company, 2007). 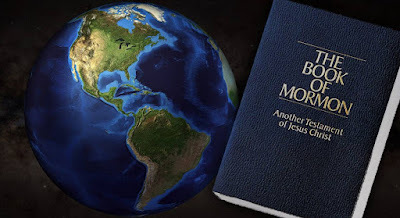 Most readers of this blog are probably well aware that I am an active and believe Latter-day Saint, I accept that the Book of Mormon is an ancient text, and even agree with Dr. John L. Lund that Mesoamerica is most likely the setting wherein the events in the text took place. So I am not writing a critical review because I have some kind of axe to grind against the Church, or because I think Lund has the wrong place. Neither do I have anything personal against Lund. I have no doubt he is a great teacher and speaker, as his reputation suggests, nor do I question his faithfulness or integrity. Rather, after reading Lund’s book, and being more than just a casual reader of such works, I simply do not feel like I can, in good conscience, recommend this book to others. The intent of this review, therefore, is to be helpful to potential buyers, who are free to consider my assessment and weigh it against those of others in making their decision as to whether or not to buy the book. Methodology: Lund’s method for doing Book of Mormon geography is problematic. He places emphasis on the views of Joseph Smith, although he admits that they are just opinions. His reasoning is that he believes Joseph Smith’s opinions should count more than anyone else’s. Even if that assumption is granted, however, that still does not justify simply accepting Joseph’s views uncritically at face value. Unless Joseph Smith had revelation on the matter (which he did not), then his opinions ought to be subjected to critical evaluation, and then accepted or rejected based on their merits, just like any other man’s. This problem is compounded by the fact that others try to invoke Joseph Smith in support of a completely different setting. The reality is that any method needs to focus primarily on the text of the Book of Mormon itself, since its authors are the only ones why definitely knew where Book of Mormon lands were. Poor Documentation: Nearly every page is filled with claims and assertions without evidence or argument, and with no citation to sources (whether primary or secondary) to back them up. Given the questionable accuracy described above, this makes it all the more problematic. It is difficult to know where Lund’s information is coming from and if it is reliable. Poor Logic: Aside from any problems there might be with the documentation or the accuracy, Lund makes many, many arguments that are weak, at best. His conclusions often would not follow even if the information were sound. Many arguments are strained to the max, and throughout the book I felt like Lund was overreaching; that is, making strong conclusions on thin evidential ground. Lack of Interaction with other LDS views: Largely absent throughout the book is much of any reference to other LDS authors and scholars who have published on the topic of Book of Mormon geography. There are some references, but overall, Lund simply doesn’t engage with others. The few times he does mention other Mesoamerican scholars, it is simply to appeal to them for support, but he ignores how their views differ from his, why they might differ, and offers no argument or explanation as to why he disagrees with them. When he mentions “Great Lake Advocates” he never cites any of their actual literature or arguments, hence largely produces straw men to knock down. Don’t get me wrong, I disagree with these people too, but it is important to directly confront their actual arguments. There are some interesting insights in the book, and because I feel Lund is looking in the right place, the book can be of some value. Lund points out, for example, that Mesoamerican peoples practiced human sacrifice by ripping out the victims hearts, providing an interesting cultural context in which to interpret the many metaphorical instances of a “broken heart” in the Book of Mormon. Lund also points out (and quotes a scholar, so you can be sure it is reliable) that some natives would commonly speak of “brother of,” which may shed some light on the use of “brother of Jared” throughout the book of Ether. Lund also draws attention to a Mesoamerican people (the Dos Pilas) who behaved almost exactly like the Gadiantion Robbers. While they may not necessarily be Gadiantion’s band, it again provides an interesting cultural context for interpreting the text. There is other valuable information, but most of it is accessible in other sources written for LDS audiences and which are of greater quality and reliability in the first place. There are only a few interesting points that are unique to Lund’s work. The problem lies in the fact that these few gems are buried amidst worthless rocks. And casual or inexperienced readers are unlikely to be able to parse the difference in order to find the stones of real value. Hence, the book is more likely to misinform than to truly enlighten. This is why I cannot, in good conscience, recommend this book. There are better works on the Book of Mormon and Mesoamerica, such as those by John L. Sorenson, John E. Clark, Brant A. Gardner, and Mark Alan Wright. I suggest interested readers track these down instead.